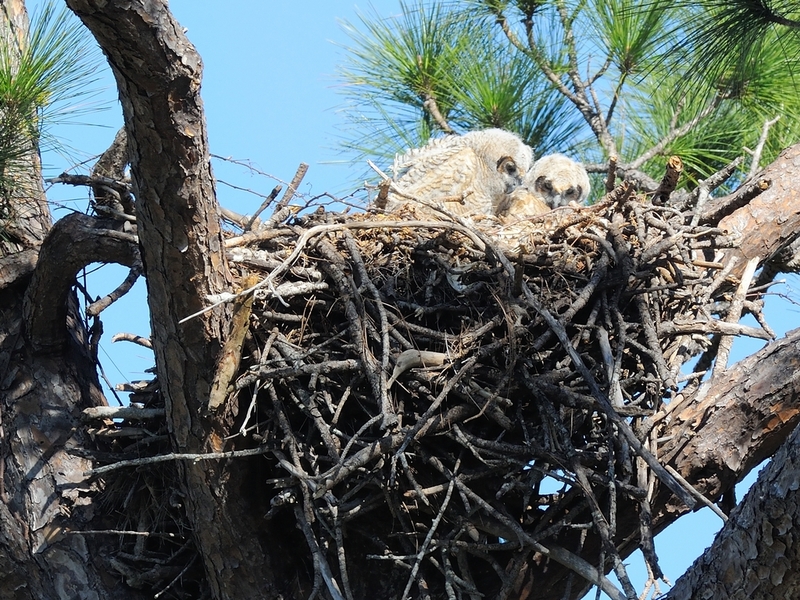 The Great Horned Owls are coming along at the History Park and I discovered a Sandhill Crane nest in a gas station retention pond. Here you can see the baby owls. 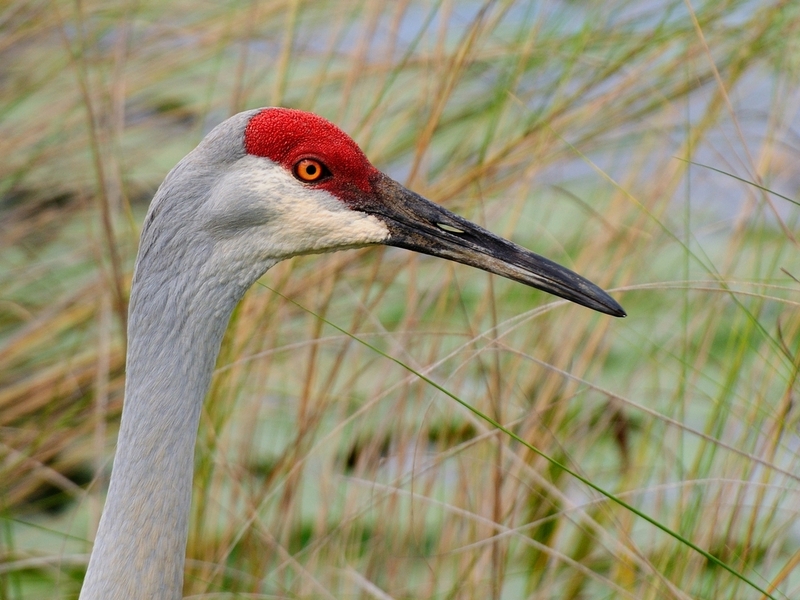 The Sandhills haven’t hatched yet so there is always one parent on the nest while the other forages. If you are lucky, you can see the change. One returns and walks around in the reeds for a bit and then goes and stands by the nest. The one on the nest gets up and starts walking around while the new arrival tidies up a bit before sitting on the eggs again. It’s not in a position where I can actually see the eggs but, I’m sure we will see the young when they hatch and as they develop. Having them there also gave me a shot at a nice portrait of one of the adults. 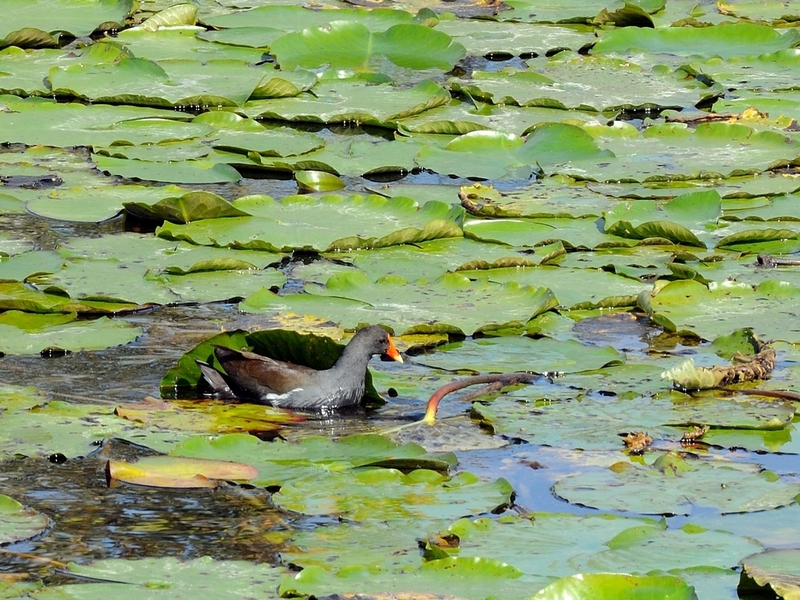 In the same pond, we have several Common Moorhens. 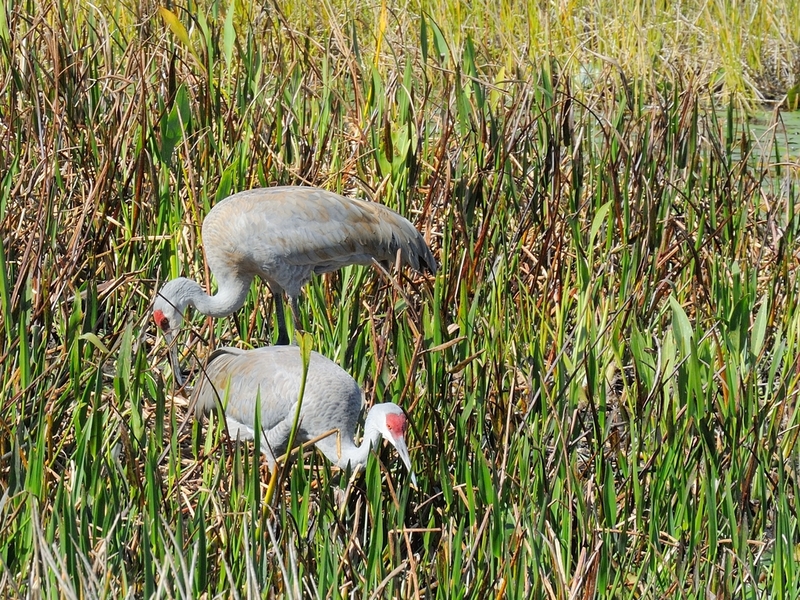 I’m pretty sure they have also nested in the reeds but haven’t seen the nest yet. 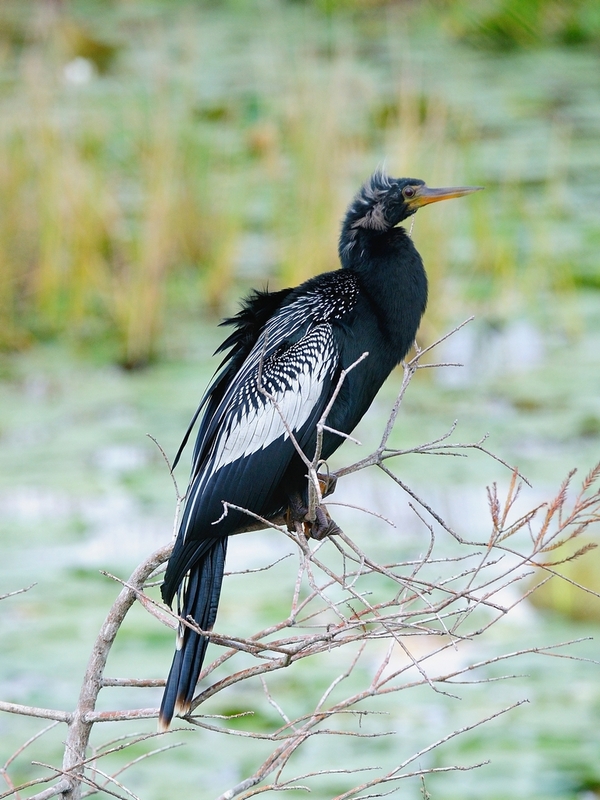 We also have Anhinga feeding in the pond but I believe they are nesting elsewhere. Things will be getting busier soon as the young are born and become active. 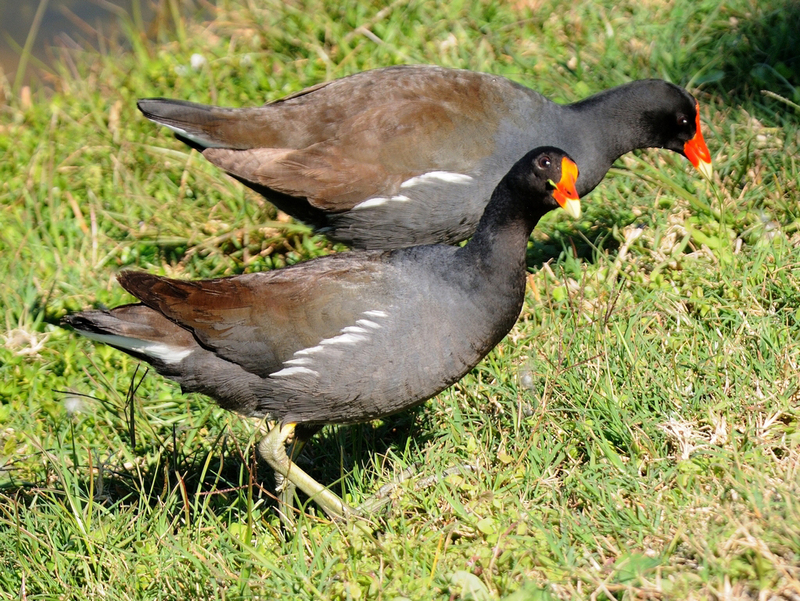 This entry was posted in animal behavior, Bird and tagged anhinga, common moorhen, Great Horned Owl, nesting, Punta Gorda History Park. Bookmark the permalink. Love those baby owls! So cute. I always love this time of year with the bird babies. Can’t wait to see your baby crane pictures. Too early over here to see nests. These babies are so cute. What beautiful birds, thanks for sharing. Hope to see new babies soon!